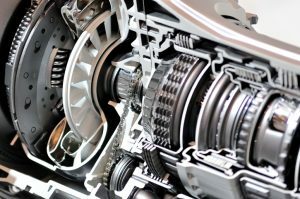 Do you need your transmission repair in Covina? Johnny’s Auto Service has the staff, equipment, and experience to fully repair your vehicle. Our transmission repair is staffed by ASE Certified Automotive Technicians who can evaluate any problem with your car’s transmission and fix it so that you can get back on the road in no time. You can also check your transmission fluid with a dipstick. If the fluid is foul smelling, thick, or cloud, it could need a flush. At Johnny’s Auto Service, we know transmissions inside and out, whether you need a small fix or a rebuild of your entire transmission. With any transmission repair, it’s best to develop a relationship with your mechanic. Johnny’s has been in business since 1970, and our co-owner, Byron Moreira, is an ASE Certified Master Technician with over forty years of experience repairing vehicles. We don’t only offer transmission repair in Covina; let us become your car’s maintenance headquarters, whether you need a simple oil change, or need to bring your vehicle into compliance for California’s stringent smog emissions laws. Not only will we diagnose your vehicle, but we’ll also see to it that you’re up to date on all manufacturer suggested maintenance. Call us today at (626) 966-5212 or visit us online at johnnysautoservice.com. You can even schedule your next visit online with our handy appointment request system. Keeping your car in working order has never been easier. For transmission repair in Covina and so much more, make an appointment today!